We just dropped a new ad of pegless grind pioneer, Chris Silva ripping an X grind across a loading dock with our Nub Nuts. Chris swears by these things, and when it comes to lacing precision grinds, you know he’s not playing around. 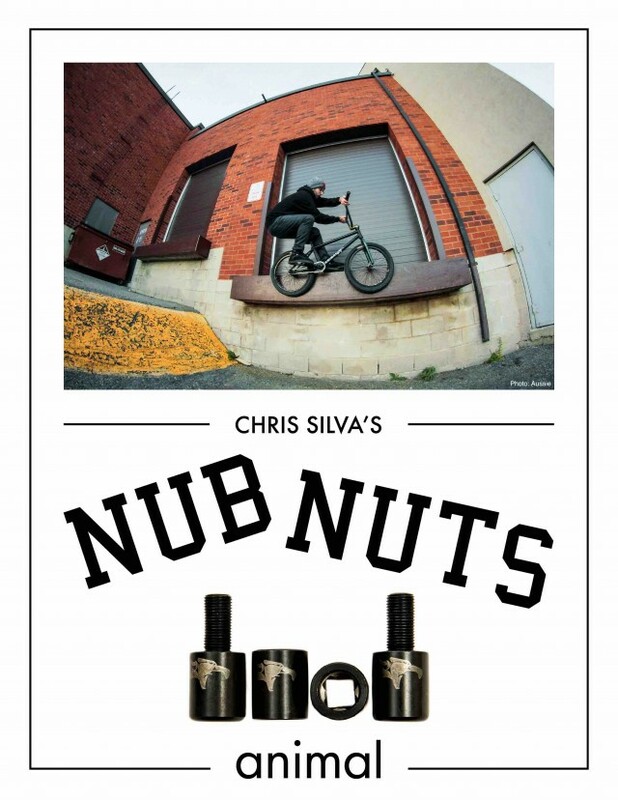 This entry was posted in News, Parts and tagged animal bikes, Chris Silva, nub nuts. Bookmark the permalink.